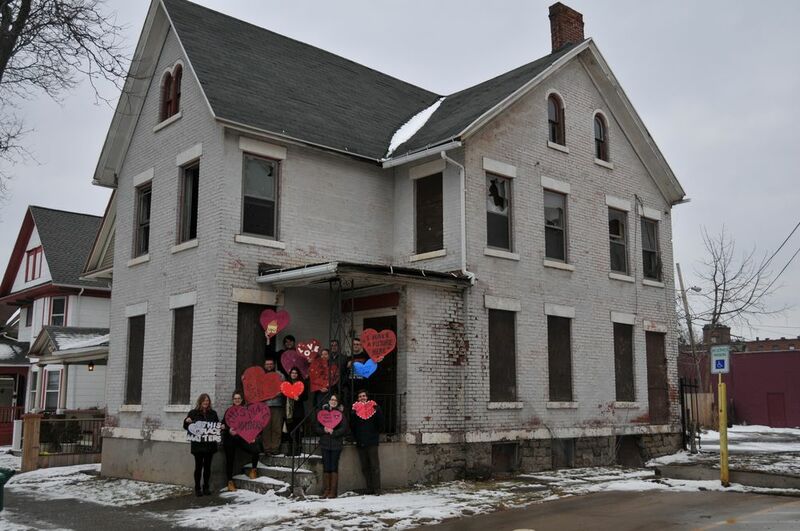 On February 11th, young preservationist organizations across the Rust Belt–in cities like Pittsburgh, Buffalo, Columbus, Cincinnati, Indianapolis–gathered in their respective cities to show their love for old buildings in need of some TLC. 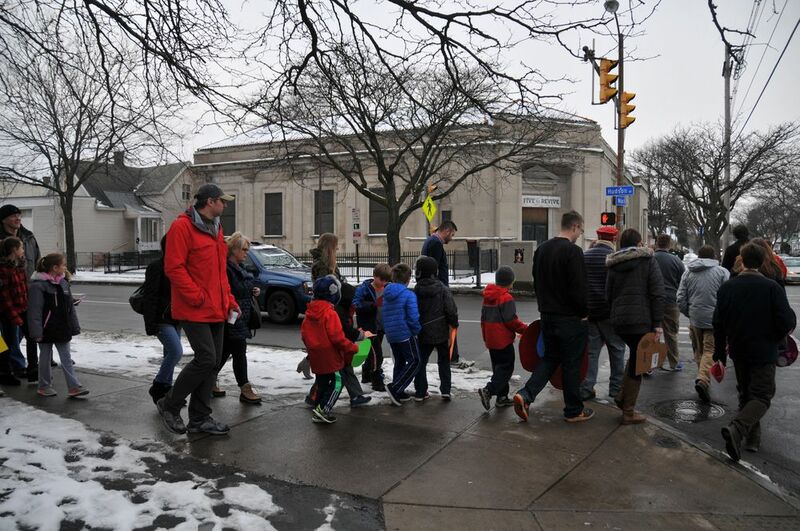 In Rochester, The Landmark Society’s Young Urban Preservationists (YUPs) convened at St. Stanislaus Kostka Church in the northeast section of the city. 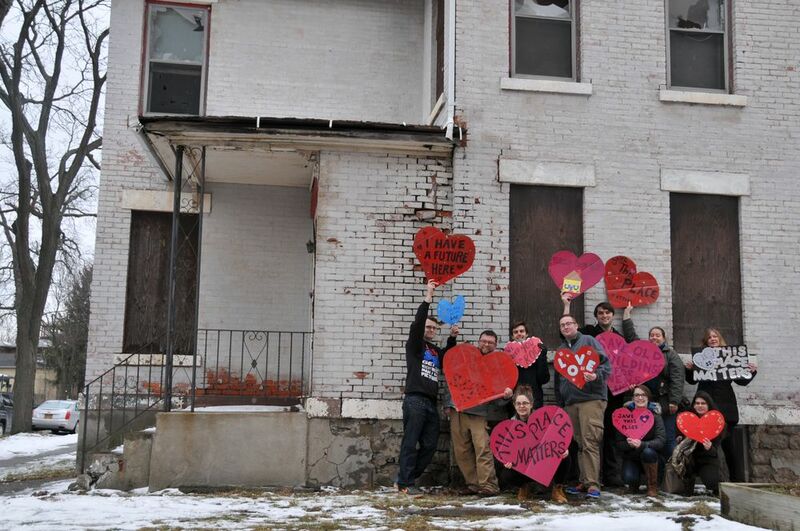 How do you show your love for old buildings, you ask? By heart bombing them, of course! 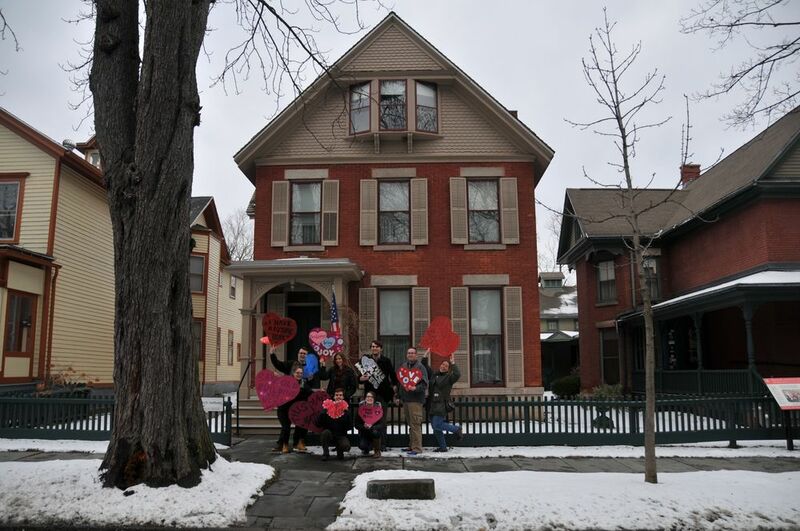 A phenomenon created by Buffalo’s Young Preservationists five years ago, heart bombing is a fun and festive way to draw attention to vacant buildings and to the potential that these buildings have to serve as community assets rather than eyesores. 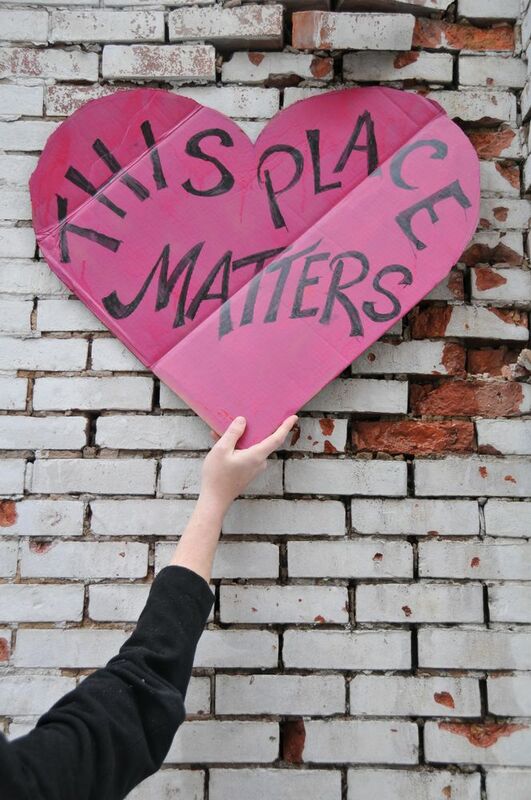 The process is simple: you gather all your favorite crafting supplies (construction paper, doilies, glitter, markers, etc) and your favorite preservationists in a room, make valentines for needy buildings, then go out and tape those valentines to the building(s) in question or just hold them up, take lots of pictures, and post those pictures to social media. The YUPs put their own spin on heart bombing by involving young children. 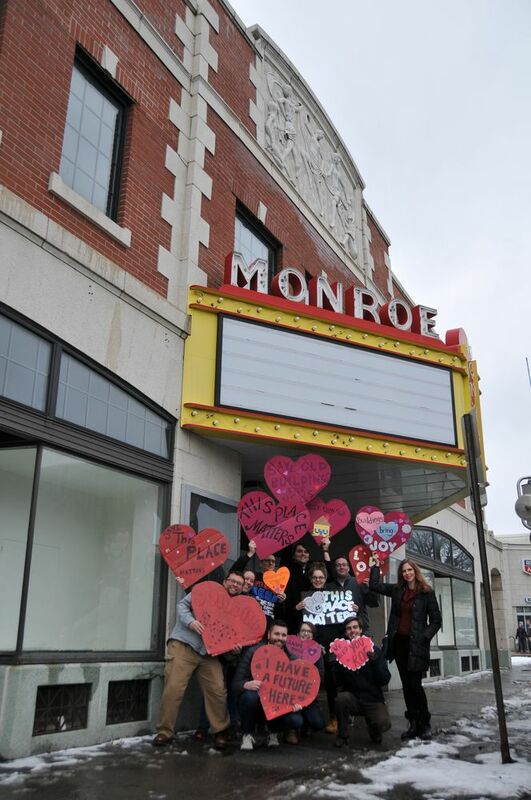 Like last year, we started the day by teaching some kids about preservation and how vacant buildings can be transformed into community assets. 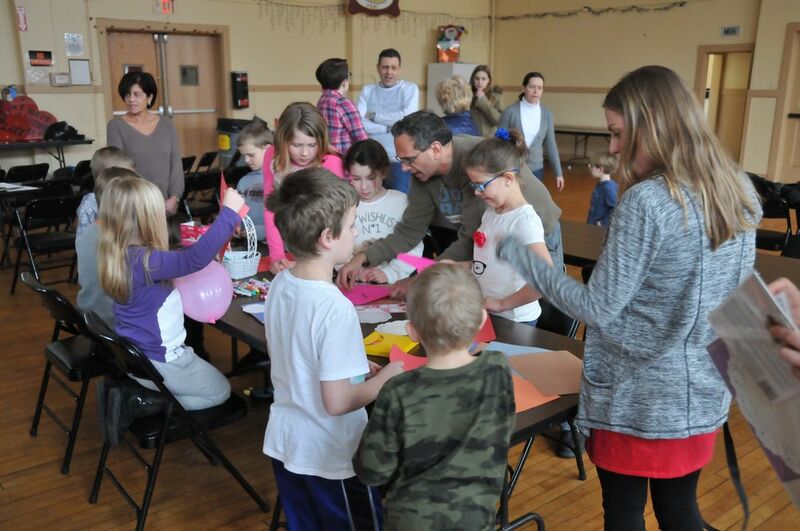 This year we worked with kids at the Polish School at St. Stanislaus Kostka Church. 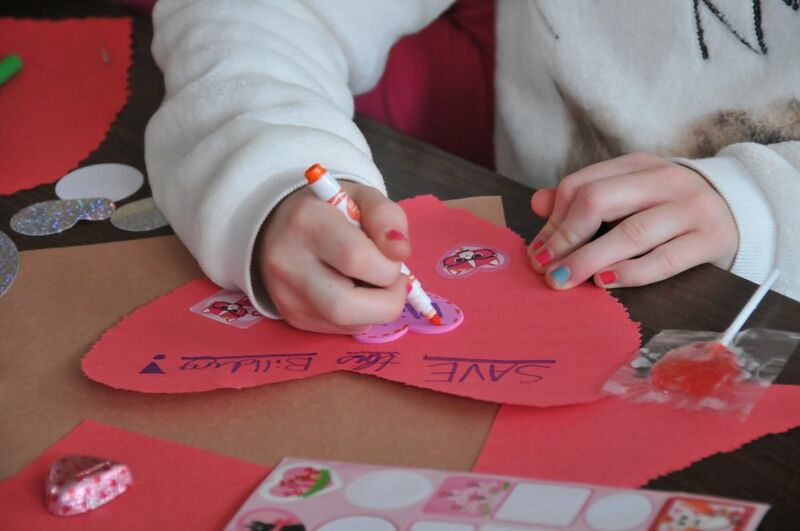 The kids had a great time learning about preservation, watching the Disney film The Little House, and crafting their own valentines. 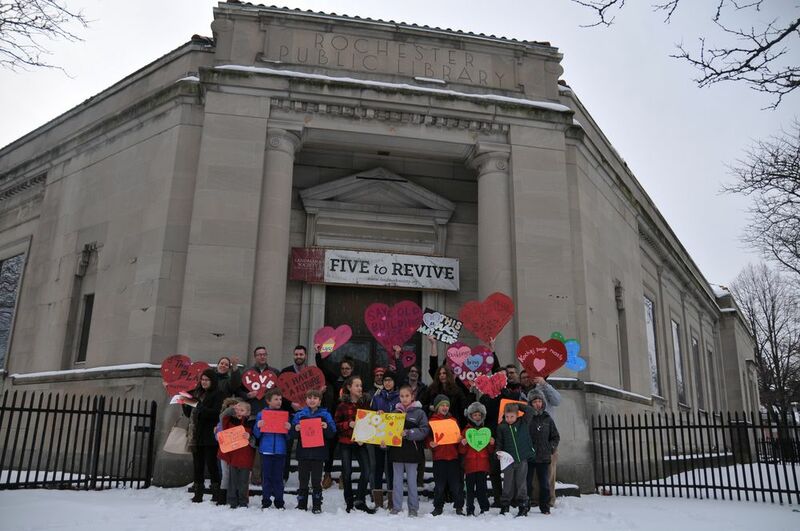 Then we all headed across the street to heart bomb one of our 2013 Five to Revive, the former Pulaski Library. 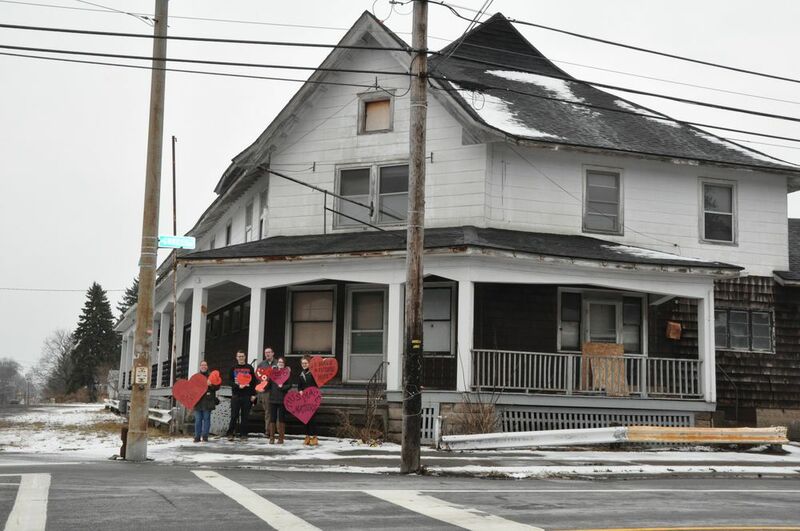 To learn more about why this building is at-risk, follow the Save the DeMay Facebook page. This entry was posted in Projects, Updates by Caitlin Meives. Bookmark the permalink. Greetings Rochester YUPs Heart Bombers and congratulations on another successful event. Some sites are on our 2016 “Sixteen to Save” list. Some in great shape but as you all say we just couldn’t help ourselves we love them so much. Love a Rust Belt landmark- they help tell our upstate New York story. Looks like a nice way to give a hint about one of these. It`s much easier to restore a building/cinema/whatever than to build it from scratch. Considering how population grows, we need to use every bit of a place we can. This way, we can be sure all of us can be capable of having a home in this small globe as ours.